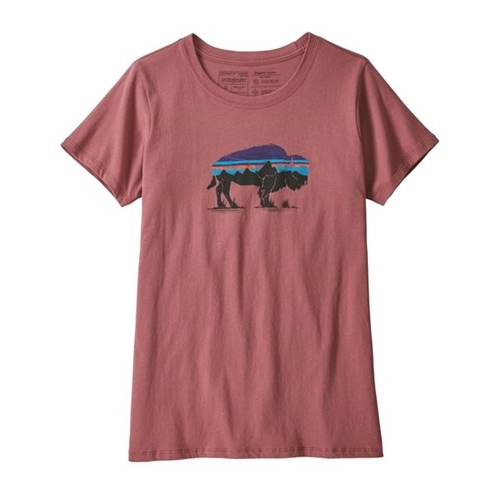 The Fitz Roy Bison Cotton T-Shirt is at home on the range, or anywhere else with freedom to roam. The tee is made from an exceptionally soft 100% organic cotton ringspun jersey. Original artwork is screen-printed using inks that are PVC- and phthalate-free. Traditional, regular feminine fit with flat hem. Taped shoulder seams for comfort and fit retention. Sturdy side seams keep garment from twisting and shrinking when washed.